This past Saturday my oldest baby turned 6! It seems like just yesterday I was holding her for the first time. She was my first baby and is still my only girl. As such, she is a spoiled little princess and loving every minute of it. 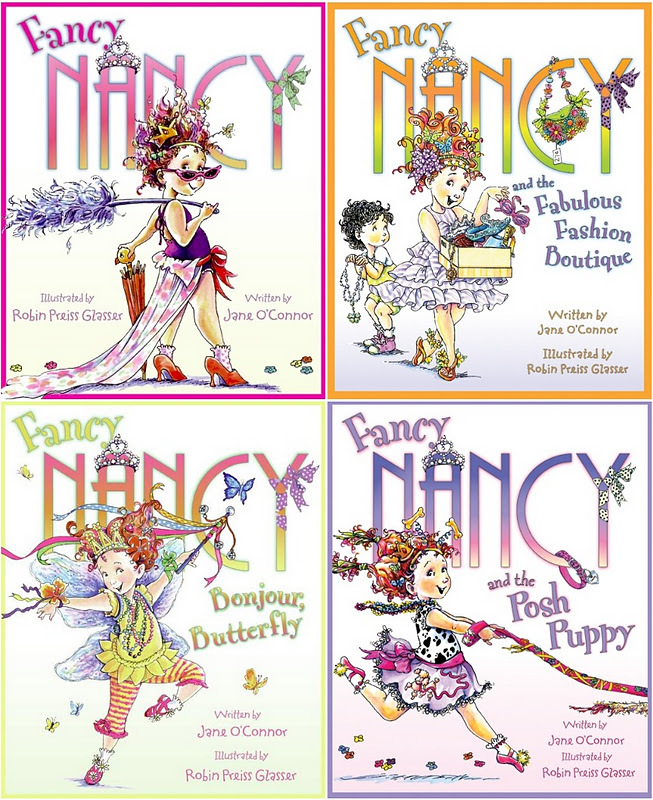 Naturally, she is crazy about all things girly and Fancy Nancy. 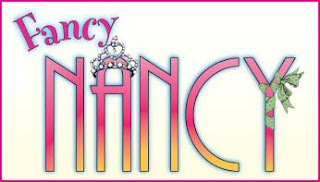 This was the theme of her party this weekend and it was a big hit! I'm so glad that my fancy girl and her friends had such a good time. The party took quite a bit of prep with decorations and favors, but in the end it was très très fancy! Fancy Wreath. Ooh la la! I used the curling ribbon bows I made to hold the goodie bags closed. We used book covers as posters around the house. This doubled as a gift bow AND a hair bow! Pencil pouch turned fancy purse. Once the party started all the prep work was worth it. 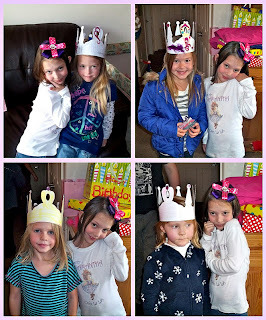 The girls had a lot of fun and were so adorable! This was also a great opportunity to spend time with family. My beautiful sister-in-law and my adorable nephew Tanner. Sam's cousin Shane also came, but was a bit camera shy! My littlest bonding with his cousin. Sam got so many fancy gifts. 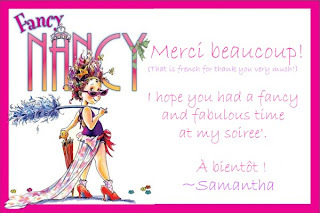 Fancy gifts call for a fancy thank you card. Even Dax got a little present. Sporting her fancy faux nails. I still can't believe my little angel is 6. I'm so blessed to have her in my life. I love you Fancy Samantha! Soo darling! 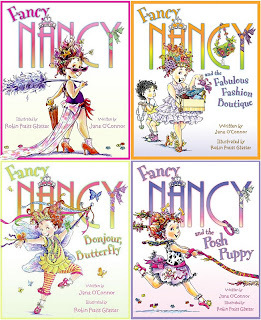 How did you make her shirt say her name in the Fancy Nancy font. My girls loved your idea!